Jeeves stays his hand. Yes, that’s right. Even though a particularly well upholstered friend of Aunt Agatha chucks her bleary-eyed milk sot of a son Bertie for a month. Jeeves refuses to rally to the cause. Of course, if Bertie would simply throw out the offensive tie and hat, things might be smoothed over soon enough. But Bertie, just this once, has decided to be firm. From Garbo of Springfield, Missouri on 12/13/2017 . 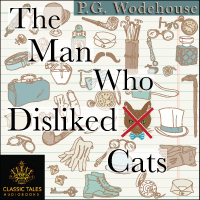 I love the book- humorous. BJ Harrison is highly talented speaking in so many different voices. Highly entertaining. From George of Locust Grove, Virginia on 9/20/2017 . What can I say except this is classic Classic Tales. I've listened to the podcast for many years and have noted the constant improvement and professionalism in B.J. Harrison's work. 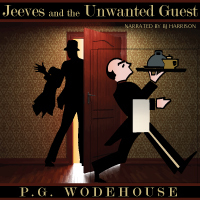 As evidenced by Jeeves and the Unwanted Guest, the production work is flawless and the voice work is a joy to listen to. From Theresa Hubbell of Brandenburg, Kentucky on 12/9/2016 . I love the Jeeves stories. BJ Harrison does a wonderful job reading these stories! Thanks! From Kristina Ivory of Vineyard Haven, Massachusetts on 11/23/2016 . 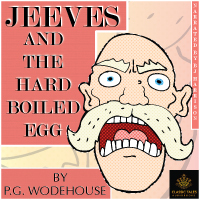 Once again BJ comes through with a highly amusing and witty Bertie and Jeeves adventure. His pleasant style of reading complements the narrative and makes for a good time all round. From clemente munoz of holland, Michigan on 5/1/2016 . It's was funny great story and the delivery was impeccable.